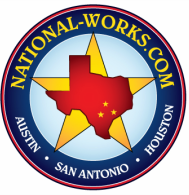 Sewpercoat - National Works, Inc.
SewperCoat® is an amazing product with an even better track record. 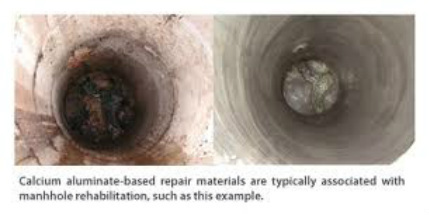 Lasting for generations, SewperCoat® keeps sewer systems and manholes structurally sound. The SewperCoat® works with the H2S gasses to enable a stable, monolithic product. If you're still not convinced there's a SewperCoat® 10 year warranty. Although SewperCoat® is a cement product, its 100% calcium aluminate content creates a "total reactive barrier" which inhibits the activity of bacteria such as Thiobacillus which are responsible for forming sulphuric acid (H2SO4).The key to this exceptional behavior is that the binder and aggregates are both composed of calcium aluminates. They are able to create a protective layer with no weak link. Furthermore, the perfect chemical and mineral affinity between the binder and the aggregates leads to the creation of an excellent chemical and mineral bond when the product is hydrated, which explains its very good resistance in thin-layer application.